The Doctor’s Daughter is a compelling read. At first, I thought it would focus largely on Marta’s dysfunctional relationship with her misogynistic father, renowned psychiatrist Arnold Rosenblit, but slowly came to realize that there was much more to this well-crafted story. Marta, on the other hand, is a character that I was pulling for throughout. She’s plain in comparison to her sisters who’ve all been married off (sort of the outcast of the family), but she also possesses the intelligence to be deemed useful to her father. However, Marta has other plans–aspirations beyond being her father’s lackey. She dreams of making a name for herself in the world of psychology. Enter Dr. Leopold Kaposi (a colleague of Dr. Rosenblit) and Elise Saloman, an aspiring pediatrician. Kaposi recognizes Marta’s intelligence and entices her to work with him, unbeknownst to her father. This is where the story takes a suspenseful turn. Does Kaposi have Marta’s best interests in mind? Or does he have ulterior motives? With the help of Elise, whose interest in befriending Marta is unknown until near the end of the story, Marta is faced with several tragic and life-changing realizations. 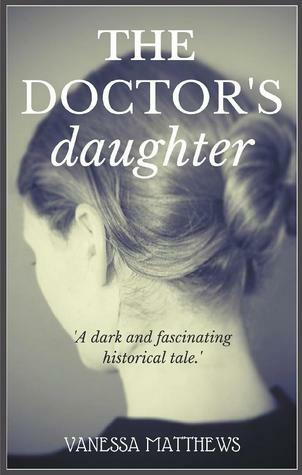 I thoroughly enjoyed The Doctor’s Daughter and look forward to reading more from Matthews. *Thank you to Vanessa Matthews for providing me with a complimentary copy of this novel.